On a recent trip to the Red Sea we spent a week on board the VIP One Liveaboard Luxury Motor Yacht (more about the boat later). 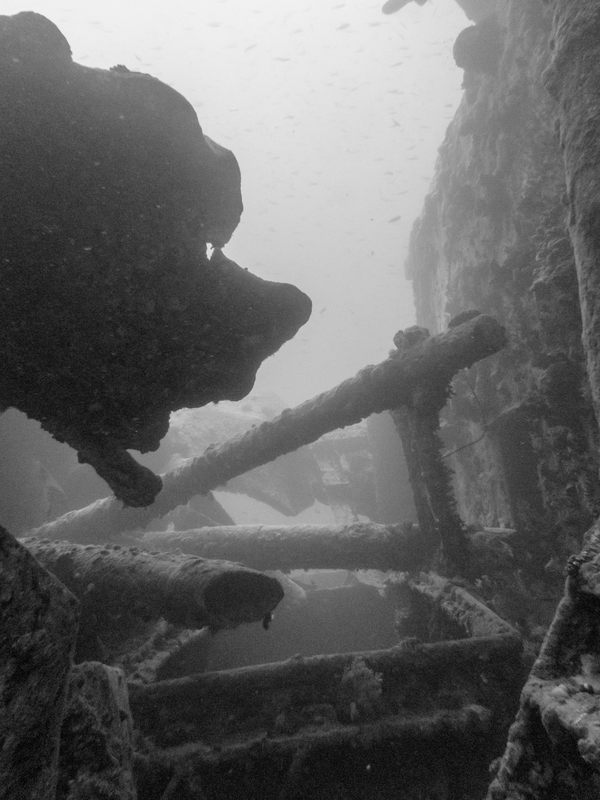 One of our first dives of the trip was on the Thistlegorm Wreck. 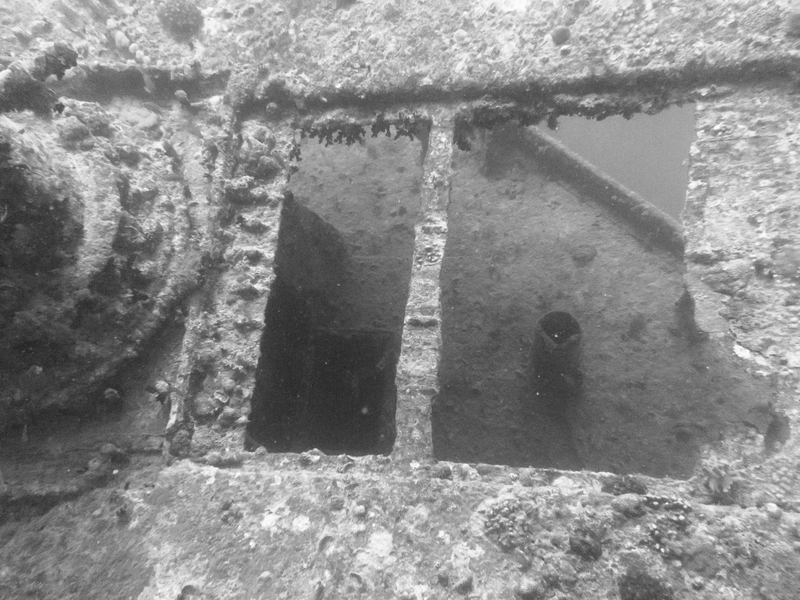 I’ve dived on this wreck several times, the first being in 2002, so it’s been interesting to see the changes to the wreck since then. 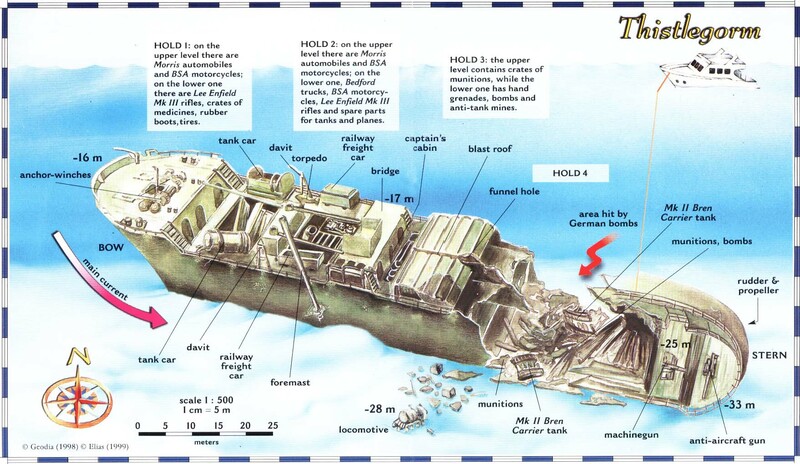 Below is a diagram of the boat as it looks on the ocean floor. 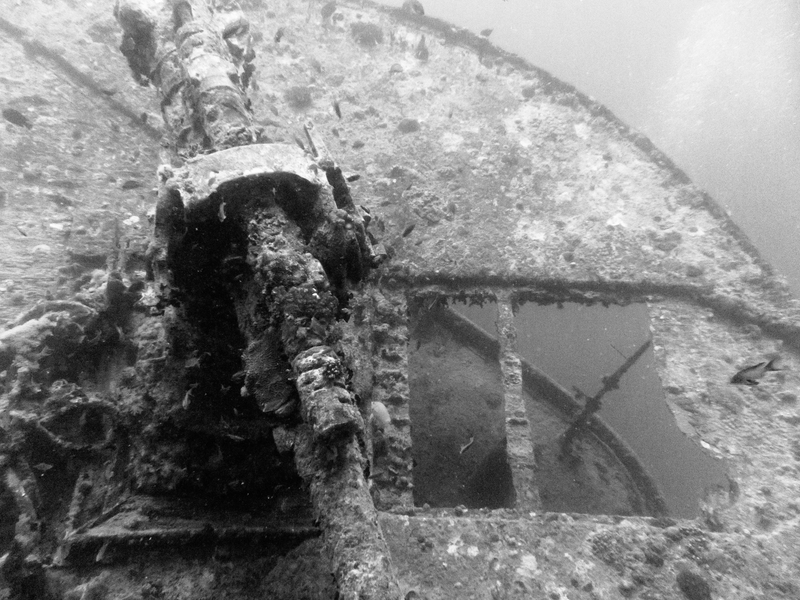 The Thistlegorm was a British Transport Ship built in 1940. In October 1941 it was on it’s way back from Cape Town loaded with material for the British Troops in North Africa, when it was attacked by German Bombers. It lay at the bottom of the ocean at a depth of 16-33metres for 15 years until it was discovered by Jacques Cousteau in 1956. When I dived it this year, the current was quite strong and visibility was not great, so this reflected in my photography :-(. 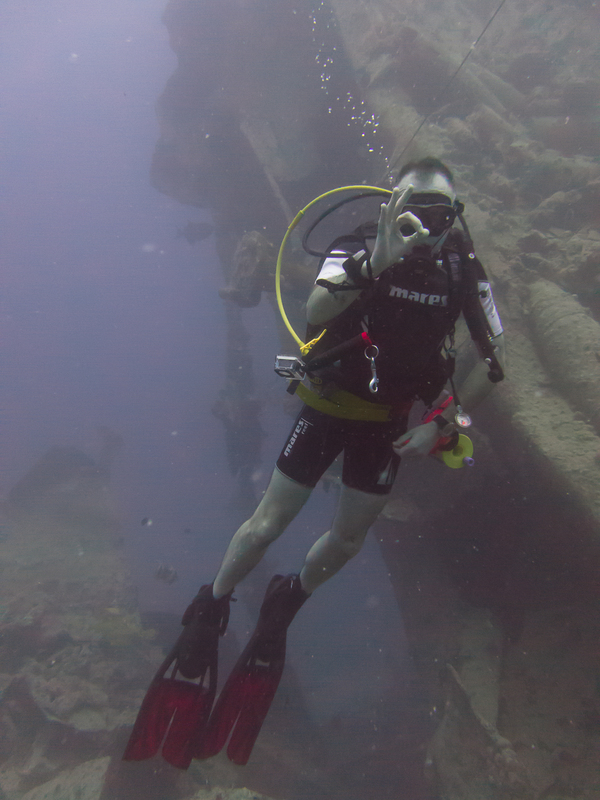 I nearly didn’t make this dive as the hose on my regulator started leaking, just as I was about to get into the water. The boat crew were excellent in sourcing a new regulator for me which also leaked, frustration was setting in; however third time lucky, another regulator and I was finally in the water. 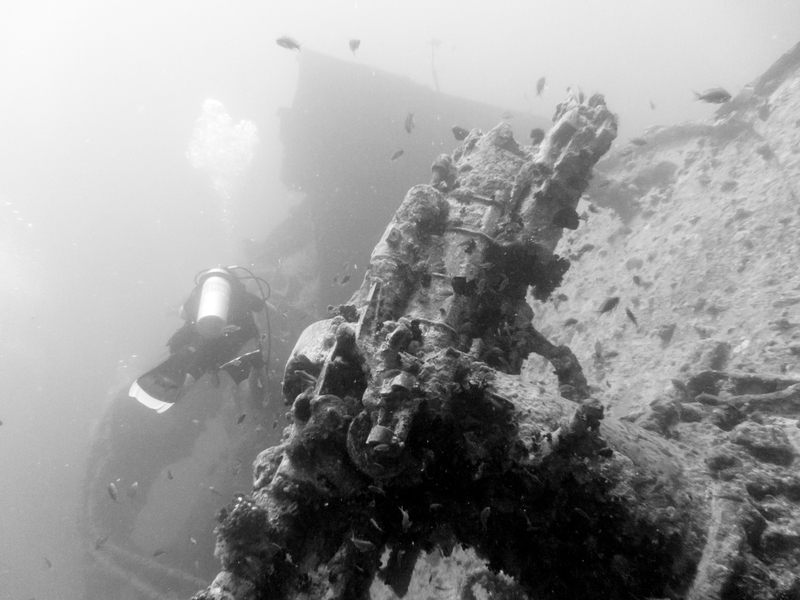 It later turned out that an ‘O’ ring had gone in my gauge, a simple fix and I was operational again on the next dive. 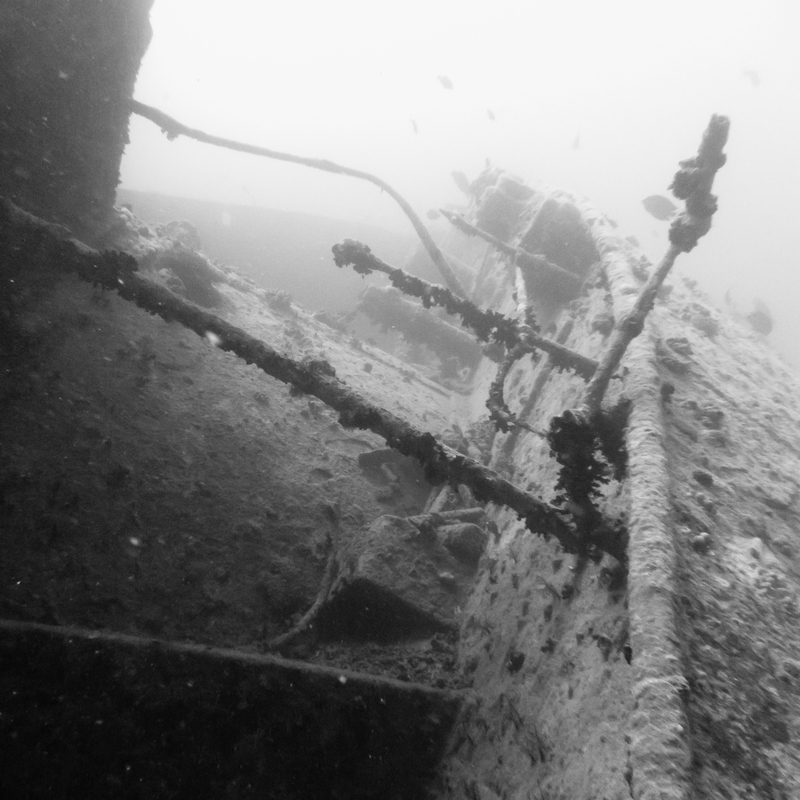 Being on the liveaboard and with no time-constraints we were able to time our dive so that we had the wreck practically to ourselves. I don’t know what was creating the bubbles, but I liked the effect. 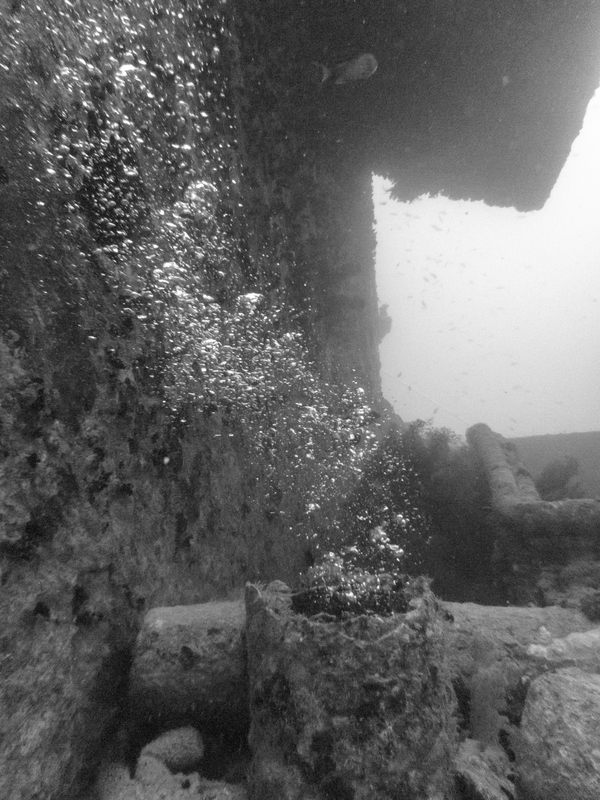 There was plenty of life around the wreck but due to the currents I was finding it difficult to capture any decent shots. 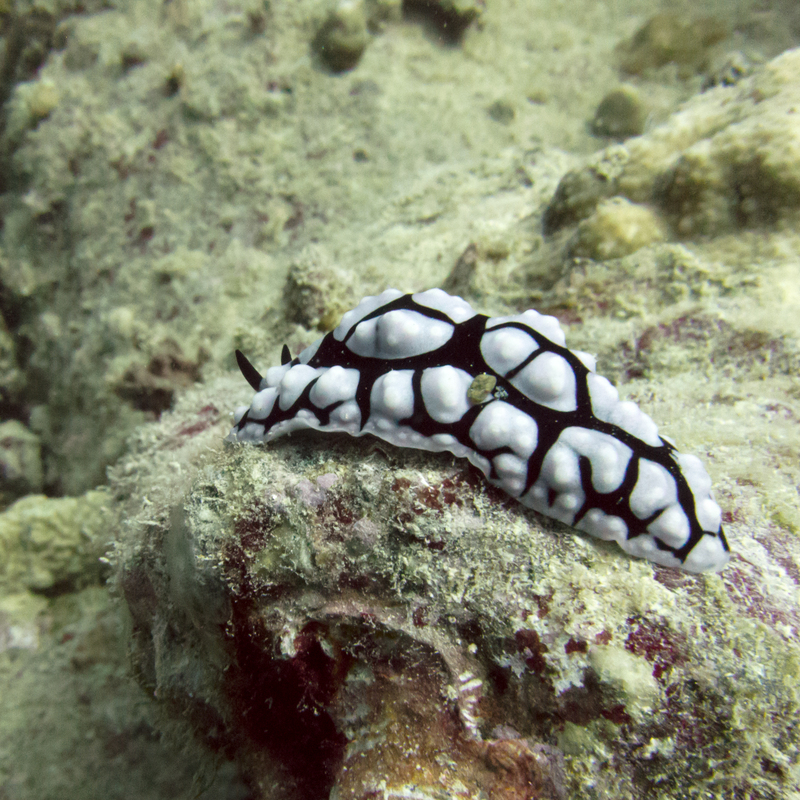 However I managed to find a little Wart Slug that was a very willing model. Thankyou for spending the time to read my post, have a wonderful day and please come back soon. 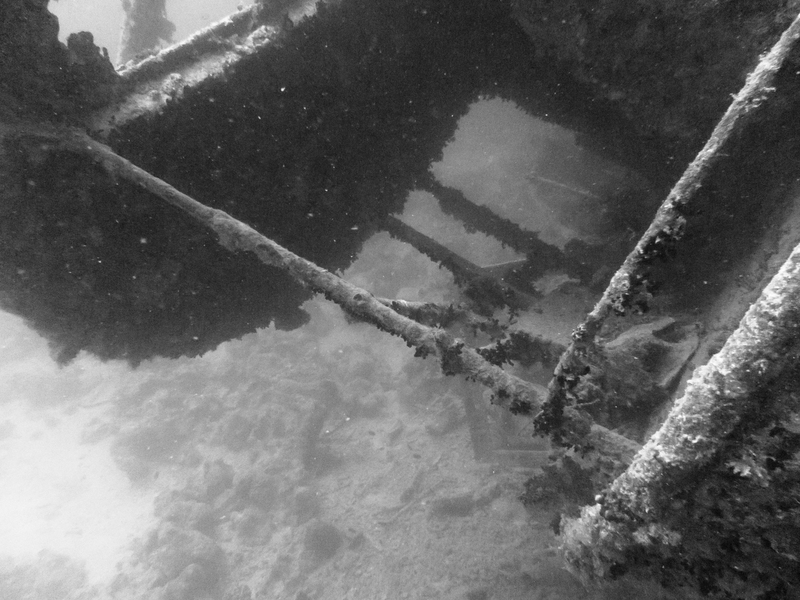 Posted in Egypt, Underwater and tagged Diving, Egypt, Red Sea, Scuba, Thistlegorm, Underwater, wreck. Bookmark the permalink.